Our middle child will graduate from high school in four (short) weeks. The past eighteen months have been peppered with college visits, online searches, and a number of late night talks. Doc and I are care deeply about where she’s planted. We’re excited to see her bloom in this next season of life. I’m trying not to fret, but it seems like a weighty decision. You don’t have to be a horticulturist to know blooms are affected by the pot their planted in. The Missus is torn between two good pots. I whisper prayers for the decision she’ll make while I try to hide the fact that I prefer the pot that is sixty miles away (versus the one that’s 600 miles away.) Regardless of location, Doc and I are eager to see her land in soil that’s watered and well-tended by those who teach from a sound, biblical perspective. At the end of the day either pot should do nicely. (Did I mention I’m leaning toward the pot closer to home?) All this business of blooming and potted soil has caused me to second guess our past decision to allow the eldest to attend a secular University. What were we thinking? The decision seems like a lifetime ago. And yet in some ways it feels like yesterday. We were concerned our son would turn further from his biblical roots if placed in a setting like the one that seems perfect for our daughter. Do we want him to bloom? Of course! But our equally passionate pleas for wisdom regarding his soil turned us toward a different pot. Two very different pots of soil. But one passion. One plea. One desire. The hope that they will BLOOM. Oh, the prayers this Mama has offered! Some of my prayers have been in depth petitions that took journal form. Other prayers have been silent whispers uttered throughout the day. And then there were the moments I hit my knees, wrung out my heart and offered my snot-in-the-face “Bloom baby bloom!” prayers. Blooms have less to do with the pot than they have to do with the gardener. You see a good gardener knows what to add and what to take away from soil in order to produce better blooms. Doubts regarding the soil my seedlings are planted in are put to rest when I focus on the gardener. I know He’ll tend to them in every way. No one wants them to bloom more than He. Are you awaiting blooms for yourself or someone you love? Below are just a few scriptures I claim from the Master Gardener as I hold out for blooms in our tribe’s garden. Perhaps, these words will become your personal prayer too! More thoughts on blooming are over at Suzanne Eller’s #livefree linkup. She and tons of other women are talking about blooming where we’re planted, being a late-bloomer——just plain blooming! Hop over. You’re sure to be blessed! And I love your catchy subtitle! “Minimizing Perspiration. Maximizing Inspiration.” So Neat! Yay! She chose the one closer to home! And, what a beautiful post and “blooming” analogy. I truly love this. If I could go back I’d tell myself that my daughter would thrive more in the less-guarded environment (different seed, different pot) than the one that boxed her in. I’d worry less and trust more. What a beautiful post! Good to hear Suzie! Sometimes its easy to second guess decisions. Your right though…worry less, trust more! 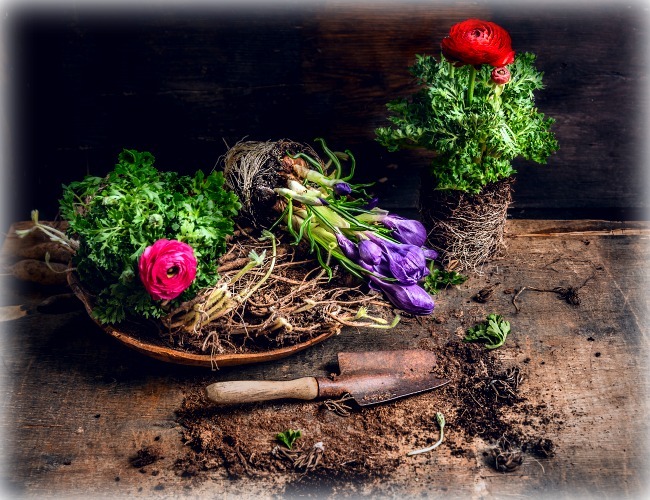 Blooms have less to do with the pot than they have to do with the gardener. <–This is a lovely analogy. That's a new way of looking at things.